Cloud computing company, Salesforce, is the first corporate partner for the UN Women National Committee (NC) for Australia’s HeForShe campaign. The program seeks to accelerate gender equality in Australian workplaces and the NC and Salesforce will work together to develop a set of corporate principles to guide other companies to create an equality strategy. Within the next few months, the duo will run several workshops with staff from both organisations and the created set of corporate principles will be released later in 2016. 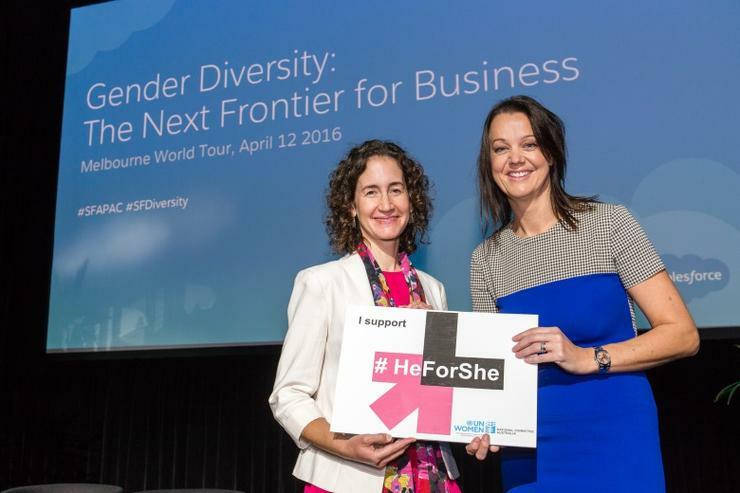 Salesforce vice-president of marketing APAC, Wendy Johnstone, claimed the partnership will provide a blueprint for every Australian company to embrace gender equality and drive actionable change within business. “It’s important that corporate Australia comes together and collaborates with organisations like UN Women NC Australia so that no one is left to be a bystander on this issue,” she said. UN Women NC Australia executive director, Janelle Weissman, said the issue of equality in the workplace is a widely acknowledged issue in Australia.